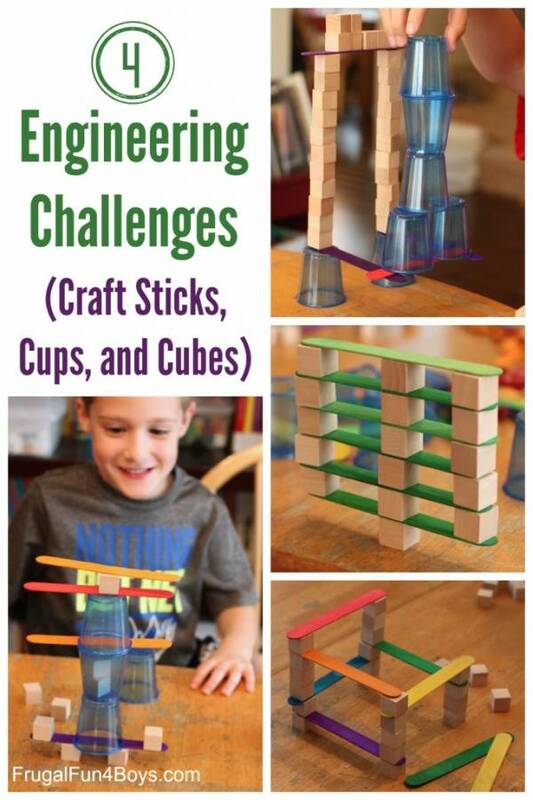 Sarah at Frugal Fun for Boys and Girls offers four great engineering challenges your kids can do with just three kinds of materials: plastic cups, craft sticks and little wooden blocks. You can challenge them to do these particular tasks, or just give them the materials and see what they come up with. Or both! I love seeing how my daughter uses different materials and learns about how to balance a structure or make it taller as she goes. It’s so fun to watch kids’ minds work. Do you keep materials on hand for engineering challenges? I’d love to hear what’s in your building box.